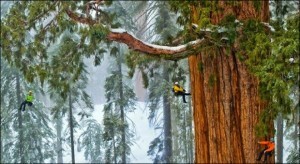 Scientist recently discovered a 3,200 years old sequoia tree which is around 247 feet tall in California Sierra Nevada. They named the tree President along with president they even discovered 2 other trees but they don’t have a large crown like the president. 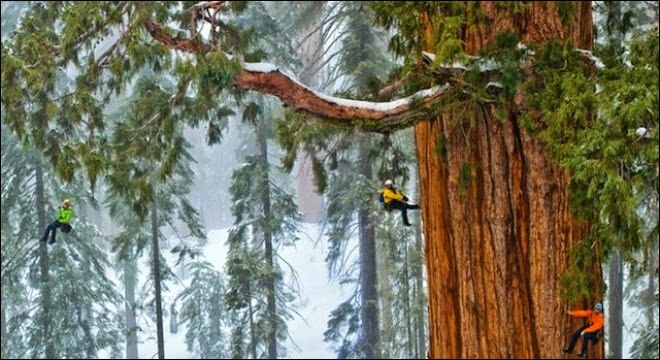 These giant tree can be found only on the western slopes of Sierra Nevada. All these plants stand above the sea level at 5000-8000 ft.
A team of scientist from National Geographic had worked for many days to measure to measure it. They used levers and pulleys to scale the tree. They found out that the President contains 54,000 cubic feet of bark and wood which makes it the largest tree in the world and after 32 days the team came up with 126 separate photos together to produce a single image of the tree.